Before containerization, goods were handled as bulk cargo. Handling multiple pieces led to many delays that in turn made transportation costly and unreliable. 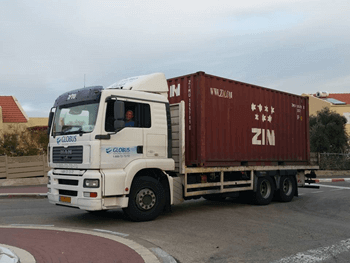 When the first international standard for containers was established, it helped to streamline goods transportation worldwide, and significantly reduced the time, lowered the cost, and significantly improved reliability. When I moved halfway around the world, I used a container to ship all my belongings. I can’t imagine how it could be done without a container. Containerization of compute workloads allows similar streamlining of code shipment. A developer can now package an application along with all of the required dependencies into a single software container, which in turn can be shipped and deployed anywhere, whether it is a physical or a virtual host, running on-premises or in the cloud. Containers are one of the hottest trends in the IT industry and have brought together some solutions for runtime environment management, image repositories, orchestration environments and more. One of these ecosystems, Kubernetes, originally developed at Google is one of the most popular container frameworks. At INFINIDAT, we noticed the growing interest in containers among our customers. Originally, it was with stateless applications – running web servers, and other similar frontend environments which had less demand for persistent storage. But lately, we’re seeing more customers moving other applications into containerized environments: Kafka, Elastic or MySQL. All of them require reliable, fast storage – lots of it. Petabytes of storage, something we know a thing or three about. While static provisioning is still used, a new concept of StorageClasses and Dynamic Volumes provisioning had been introduced. 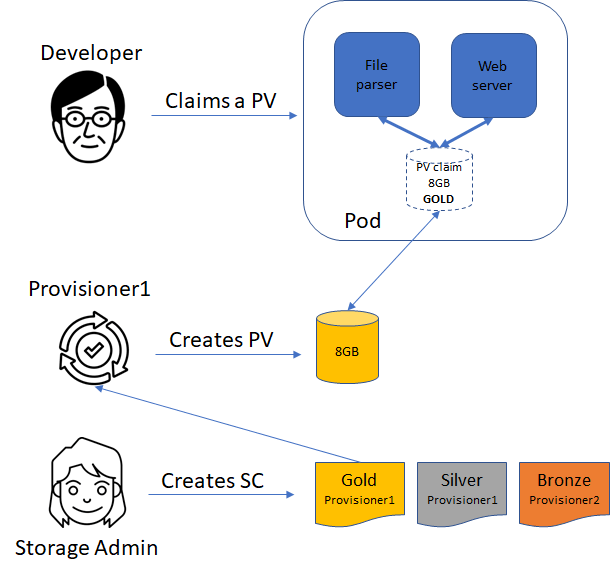 A StorageClass provides a way for Storage Administrators to describe the profiles of storage available to Developers. Different classes might map to quality-of-service levels, backup policies, or to any other arbitrary policy determined by the Storage Administrators. The INFINIDAT Dynamic Volume Provisioner for Kubernetes is now generally available via code.infinidat.com. It allows our customers to fully leverage InfiniBox functionality in their containerized environments. InfiniBox’s flexible RESTful API allows our provisioner to automatically update PVs when new worker nodes are added or removed. For example, for NFS PVs, NFS exports are updated automatically to ensure secure access to PVs only from the specific cluster nodes. 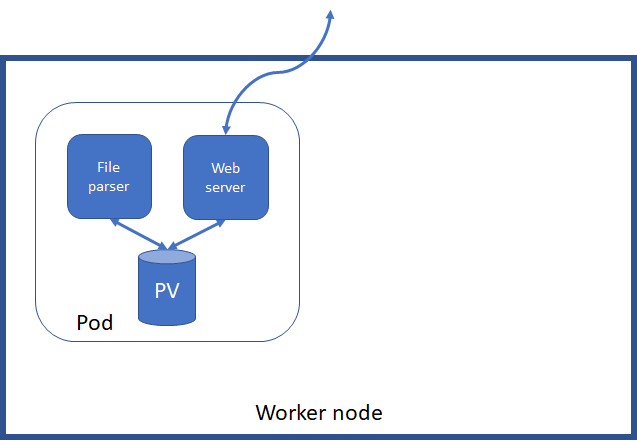 When a new PVC is created in the Kubernetes environment referring to the InfiniBox storage class, the provisioner creates a filesystem or a volume with the attributes specified in PVC. 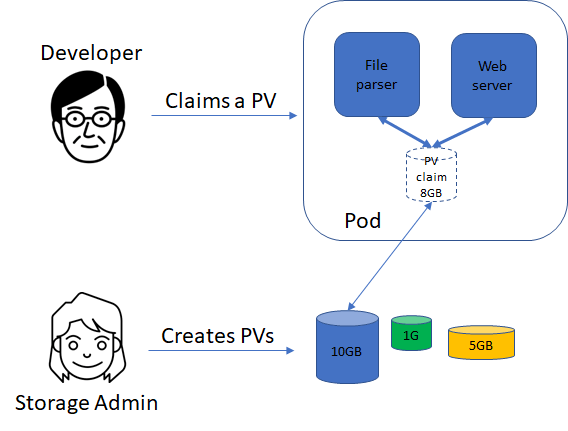 Upon the successful creation of PV by the provisioner, Kubernetes will bind it to the PVC and make the storage available for the running pod. When a PVC gets deleted, a PV might also be removed – subject to the reclaim policy. Our Dynamic PV provisioner can be used with Kubernetes 1.6 or above. INFINIDAT has also joined the Red Hat OpenShift Commons and OpenShift Primed programs to ensure the INFINIDAT k8s persistent volume provisioner is fully supported in RedHat OpenShift environments. Are you running Kubernetes using persistent volumes today? I’ll be glad to hear more about your field experience and discuss how our dynamic provisioning functionality could be improved in the future. More information about the provisioner is available from the documentation on code.INFINIDAT.com, GitHub, or from your INFINIDAT sales team.